this morning i was scanning blogs and when i hit jason clark's blog and read about mark palmer's death, i was stunned. i never met mark personally, but felt as if i knew him from a book i read called the journey towards relevance by kary oberbrunner. from what i read there, i know mark was a person deeply connected with those around him in life. i admired him for that and through many tears i asked jesus to make me more like himself -- and more like mark. 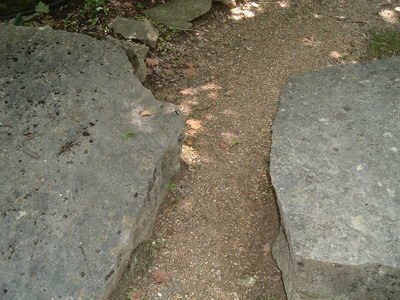 as someone who has wrestled most of my life with feeling disconnected and alone, it is oddly comforting to me: the end of this earthly journey -- the passing between the stones -- for someone i've never met could hit me so deeply.